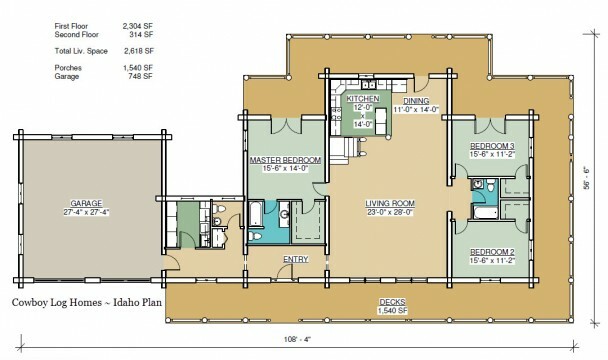 Idaho Plan 2,618 Sq. Ft. The Idaho plan is designed with a prow fronted center great room, master bedroom wing to the east and an additional bedroom wing and garage to the west side. 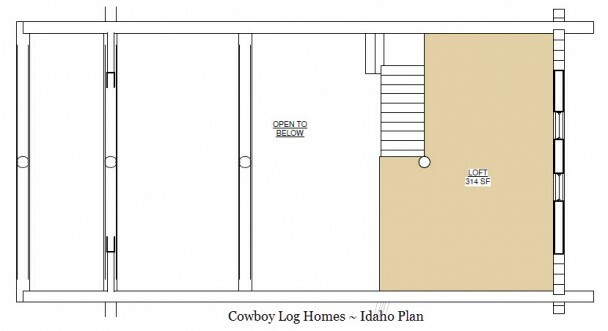 This log home floor plan includes an open great room, kitchen with pantry, open loft, first floor master suite, two additional bedrooms, a total of 2 1/2 baths, and first floor laundry. 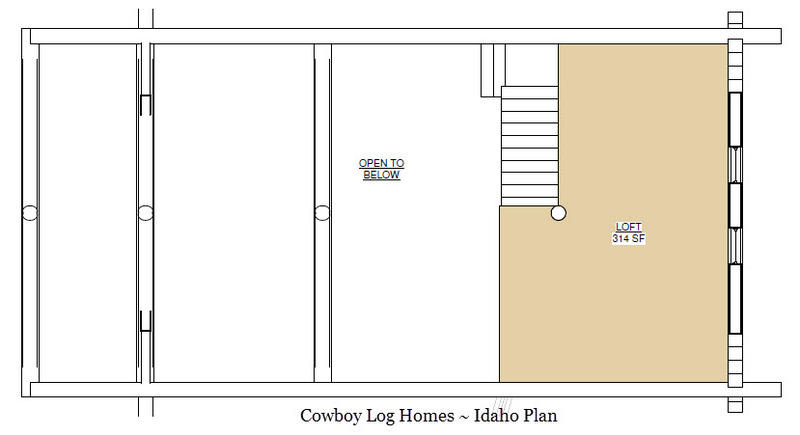 The Idaho is shown here in the Handcrafted Log Home style. 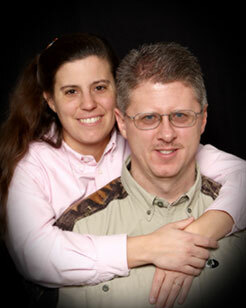 « Cumberland Plan 2,534 Sq. Ft.